The solution introduces mobile-based authentication to users who can simply validate their identity using their smartphone. It also allows users to digitally sign and validate documents, in order to minimise their visits to service centres to sign important and time-sensitive documents. UAEPASS addresses the need to unify login credentials to access different federal and local online services. Moreover, the solution aims to improve user experience by simplifying the digital identity registration and authentication processes to be convenient and intuitive for the user. The new initiative is in collaboration with Abu Dhabi’s Smart Solutions & Services Authority and the Dubai Electronic Security Centre (DESC) as a strategic partner providing the underlying Digital Certificates contributing to safeguarding UAEPASS, as well as DarkMatter Group. The launch took place at a press conference held today (October 16) at Smart Dubai’s pavilion during Gitex Technology Week 2018, taking place at the Dubai World Trade Centre from October 14-18. Dr Aisha Bint Butti Bin Bishr, director general of Smart Dubai, attended the press conference, along with Hamad Obaid Al Mansoori, director general of the Telecommunications Regulatory Authority (TRA); Dr Rauda Saeed Al Saadi, director general of Abu Dhabi’s Smart Solutions & Services Authority; and Faisal Al Bannai, founder and managing director of DarkMatter Group. “A secure and universal digital identity is essential for implementing ongoing smart transformation initiatives,” Dr Bin Bishr said. 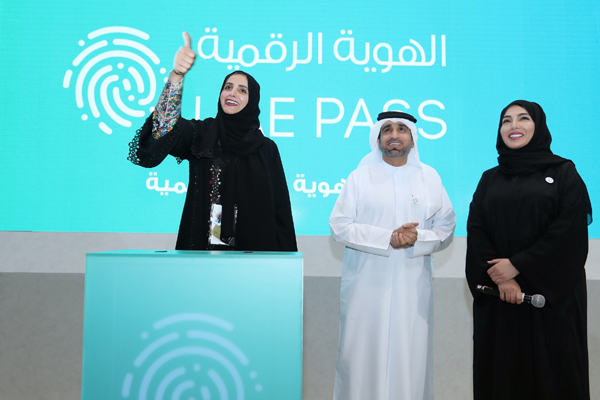 “UAEPASS not only helps centralise users’ logins and credentials, which eliminates the hassle of creating and remembering a multitude of usernames and passwords, but it also improves security and confidentiality when conducting online transactions. This effectively removes one of the biggest hurdles to large-scale automation and digitisation and drives forward our plans to transform Dubai into a leading smart city, all the while making people’s lives easier and happier,” she added.